Celebrating the life of Harold Reamer, Jr.
Obituary for Harold Reamer, Jr.
Harold Reamer, age 89 years, of Forked River NJ, died Friday, October 12, 2018 at his home surrounded by his family. Born November 20, 1928, in Flemington NJ, Harold was the son of the late Harold and Viola (Zabriskie) Reamer. A former member of the Flemington Baptist Church, he graduated from Flemington High School in 1946, joined the United States Navy, and later graduated from the Rutgers College of Pharmacy in 1952. While attending Rutgers, he met another pharmacy school student, Elaine Seidenschwarz, and the two were married happily for more than 65 years. Harold and Elaine settled in New Providence NJ, while Harold worked as a Pharmacist at Baron Drugs in Cranford for more than 50 years, until retiring. Harold loved to read the sports page of the newspaper, following his favorite teams, the NY Giants in football and the NY Yankees. At one time, he loved a good game of golf with his friends, a game of bridge with his wife and friends, but most of all, spending time with his family. 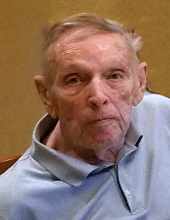 In addition to his parents, Harold was predeceased by his son, Harold Reamer III. He is survived by his beloved wife, Elaine, his daughter, Virginia Cockerline of Cranford NJ, his daughter and son-in-law, Adrienne and Peter Alcantara of San Francisco CA, his daughter, Marla Yamnicky of Forked River, and his seven grandchildren. Cremation and interment in Prospect Hill Cemetery in Flemington will be private under the direction of Holcombe-Fisher Funeral Home, 147 Main Street, Flemington NJ. "Email Address" would like to share the life celebration of Harold Reamer, Jr.. Click on the "link" to go to share a favorite memory or leave a condolence message for the family.